There are a few factors that can lead to a disastrous live performance. A fully seated venue, tables and waitresses taking orders, an early start time, and technical issues can make any band give a bad show. 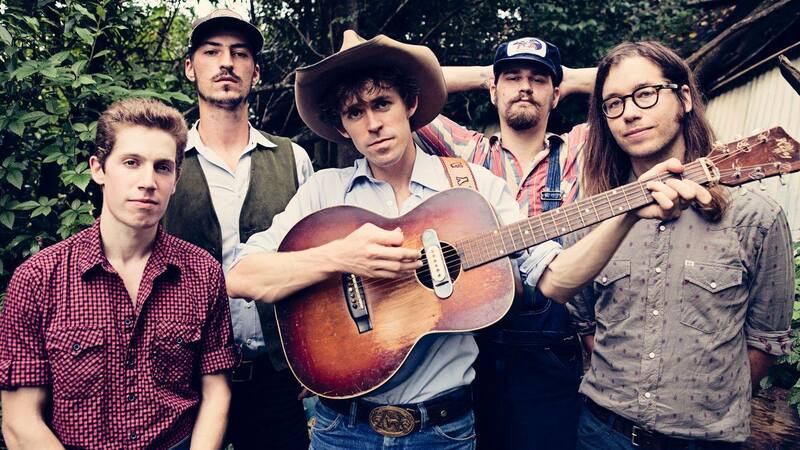 On Sunday night at the Iron Horse Music Hall The Deslondes faced all of these and shone through. A seated venue might be a perfect place for The Deslondes to perform. Even their most up tempo songs still come across as laid back. It was still a bit tough, since they did remark that they do usually ask the crowd to stand up and dance at one point, and with all the tables, there just wasn’t enough room. A few couples did wander way in the back near the back bar to find some room to dance, but the majority seemed to be fine with just watching the show. Somehow the appreciative crowd was able to keep up enough energy despite the tables and chairs to keep the show staying lively. What might work out in The Deslondes’ favor the most is their complete Southern charm. How many bands have you ever seen dedicate a song to the kitchen staff for providing them with dinner? Four out of the five members of the band shared vocals duties throughout the entire show. That could cause even the greatest performers to come across as disjointed, but with The Deslondes it just adds to their talent. Their sound remained seemless throughout their entire set. The laid back songs like “Muddy Waters” fit right in with the much faster “Hurricane Shakedown” no matter who was singing or wrote it. Another part of the charm is their complete lack of pretense. A lot of other Americana/country artists that specialize in post-WWII throwback music can seem kind of kitschy in their presentation and performance. With the entire band lacking any hats except for the baseball variety, three out of five members not having any facial hair, not even the slightest sense of irony, it adds the feel of just being five guys who love a style of music and performing it. I also want to apologize for missing Twain. Despite loving his recently released album, Rare Feeling, I missed his entire set. My previous experiences at the Iron Horse Music Hall have shown me that a start time of 7:00 means doors at 8:00, so I arrived at 7:40 and missed him entirely. He came back to perform with The Deslondes for the encore, but that was hardly enough time to truly experience a talented musician. On the plus side, I got to truly know my age since hearing laid back country on a Sunday evening and getting out for 9:00 pm (when most shows are just starting or doors are usually opening) is now a perfect night for me. The Prefab Messiahs - "Psychsploitation"
Stella Donnelly - "Boys Will Be Boys"
The Van T's - "Bitter Sweet"
Drive-By Truckers - "The Perilous Night"
J Eastman and The Drunk Uncles - "On Your Dime"
The Eskies - "All Good Men"
Anna Burch - "Asking 4 a Friend"
Tea Leigh & Luke Reed - "Underwater"